Kirkjubæjarklaustur (Klaustur) is a village in the south of Iceland on the hringvegur (road no. 1 or Ring Road) between Vík í Mýrdal and Höfn. It is part of the municipality of Skaftárhreppur and has about 500 inhabitants. Even before the time of the first Norse settlement in Iceland, Irish monks are thought to have lived here. Since 1186, a well known convent of Benedictine nuns, Kirkjubæjar Abbey, was located in Kirkjubæjarklaustur, until the Reformation in 1550. The names of the waterfall Systrafoss („waterfall of the sisters“) and of the lake Systravatn („water of the sisters“) on the highland above the village refer to this abbey. Folk tales illustrate the history with stories about good and sinful nuns. The Systrastapi (sister’s rock) is where two of the convent’s nuns were buried after being burned at the stake. One of the nuns was accused of selling her soul to the Devil, carrying Communion bread outside the church, and having carnal knowledge with men; the other was charged with speaking blasphemously of the Pope. After the Reformation, the second sister was vindicated, and flowers are said to bloom on her grave, but not that of the first nun. Systravatn also has a legend relating to the convent. The nuns traditionally bathed in the lake, and one day two nuns saw a hand with a gold ring extending from the water. When they tried to seize the ring, they were dragged below the water and drowned. The village became well known in Iceland during the Lakagígar volcano eruptions in 1783. The pastor of the local church and dean of Vestur-Skaftafellssýsla, Jón Steingrímsson (is) (1728 – 1791), delivered what became known as the „Fire Sermon“ (eldmessu) on July 20, 1783. The legend says that this sermon stopped the lava flow, and the village was spared at the last moment. The current church, constructed in 1974, was built in memory of the Reverend Jón Steingrímsson. During summer time many bird species are nesting close to the village and the river Skaftá which flows beside the village. Arctic Terns have a big colony almost in the middle of the village, so many other migrant birds are nesting there too. 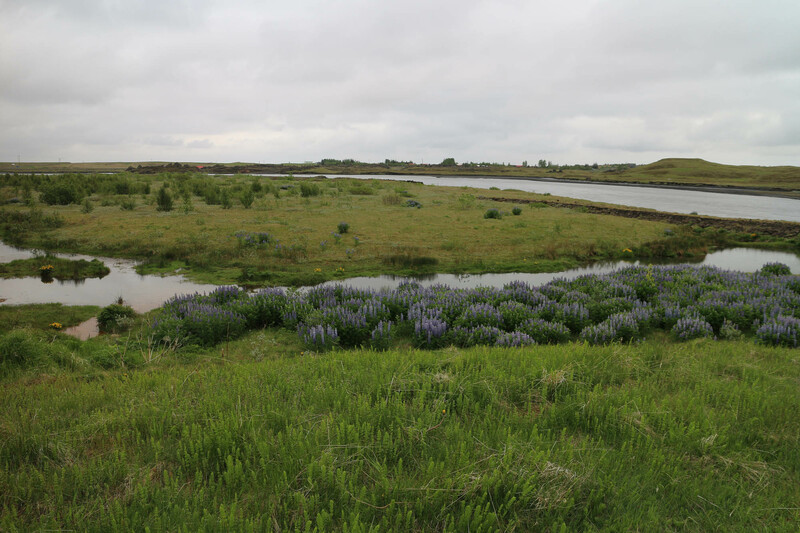 Many bird species are in this recording, Arctic tern, Red wing, Common Snipe, Whimbrel, Common Redshank, Red-necked Phalarope and probably many other species. What I love most in this recording is in the middle of the recording, is a „special song“ of Eurasian Wigeon which is not a common bird in my recordings. Quality headphones are recommended while listening at low to mid level, or in speakers at low level. Be careful, sometimes the level goes high when birds fly by. 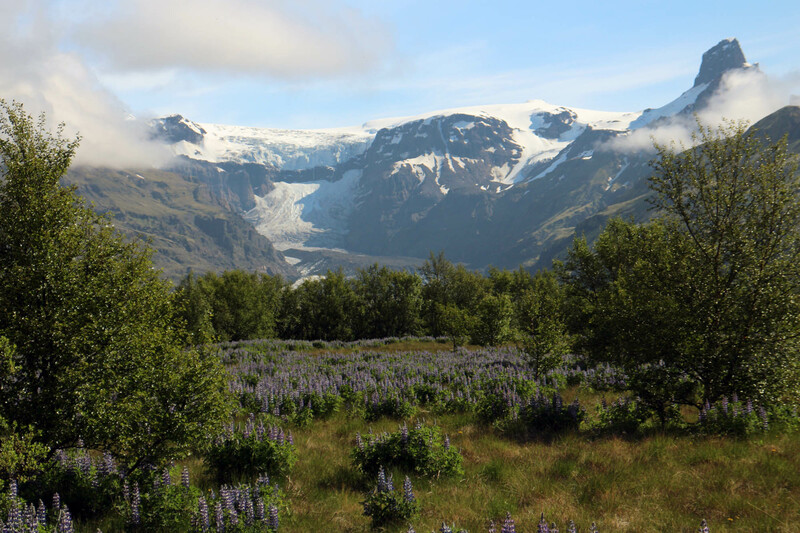 Two years ago, when I was recording in Skaftafell National Park, I noticed that Redwings sing differently between two places in the park. In the forest around Skaftafellsheiði, above the campsite and the information center, the redwings sing quiet „normal songs“ as most Redwings do in Iceland. But in nearby valley, in Morsárdalur in Bæjarstaðakógur forest, most of the Redwings colony start their song with two long tones before the „normal song“ starts. I have search my recordings for something interesting. What makes it different and what is common with this Redwing songs which will probably bring me, or someone else, to further research. But I will not talk about it here, because that will be another story. By slowing down the recording four times (1min > 4min) it makes a totally new soundscape. It sounds like a rain forest full of screaming monkeys. It opens my mid for different understanding on birdsong. Redwing’s song is much more complex than I thought. They are far from being singing the same melody or make a simple message all the time. It sounds more like a complex language. It does not matter what they are doing. Are they speaking to each other, sending messages or singing a complex song to the crowd, it always leave the question: What are they doing and what does it all mean? Following recording was recorded last summer in Bæjarstaðaskógur. You can hear this special Redwing start his song with its two tones before he continues with a „normal“ song. Background noise is mostly from streaming water in the mountains and the Morsá river. Quality open headphones are recommended while listening at low to mid level, or in speakers at low level. 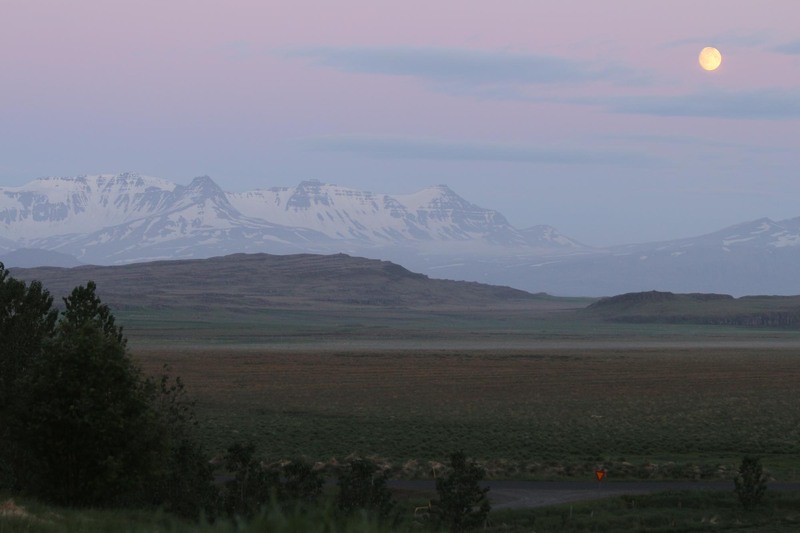 This two midsummer recordings were made around four o´clock in the morning 15th of July 2017 nearby Arnarholt farm in Stafholtstungur, in west of Iceland. It is recorded on two stereo channels with two different microphones because usually every time I recorded in this place the recordings has been disturbed by traffic noise all night long. But somehow for some unexplained reason no car went around nearby road for more than two hours, so I got a wonderful recording this morning. I placed those two microphone rigs very close to each other and pointed them toward north. Afterwards I could not decided which of those recordings were better so it is yours to decide which you like. There are many bird species in this recording. Common Snipe, Golden Plover, Whimbrel, Common Redshank, Black Taled Godwit, White Wagtail, Black headed Gull, Winter Wren, Northern Wheatear, Snow Bunting, Rock Ptarmigan, Common Starling, Redwing, Great Northern Dever, Whooper Swan, Graylag Goose and probably other species. Birds like Starling and Redwing are flying between branches in nearby trees. My favorite microphones for nature recordings are Sennheiser MKH20 an omni-directional condenser microphone and Rode NT1A (slightly modified), a large capsule cardioid polar pattern studio condenser microphone. Both these mics have lowest self-noise available on the market. I am used to use MKH20 in AB setup which mean the mics are in 40-45cm spaced parallel position (AB40). Then I turn the capsules 2-5° outward which gave me sometimes slightly „wider or more open space feeling“. This setup give me a stereo recording, 360° surround the rig. Cardioid mic detect sound mainly from one direction. so I use NT1A in different circumstances. Lets say I like to record a birdsong. At the same time it is disturbed with unwanted noise, coming from another direction like waterfall, river flow, surf or traffic noise. I can place the backside of the cardioid mic to the noise source which mean I will get less of the unwanted noise and more of the birdsong. In last two or three years I have not used NT1A in ORTF or NOS setup for outdoor recordings. But instead use AB4, same as for MKH20, which seems to give less phase error for the sound behind the rig. These two recordings are NOT good examples for this two different mics in critical circumstances because no car passed by behind the rigs and most of the birds activity was also front of the rigs. But it gives a nice insight how this two different mics sounds and how the self-noise act in „quiet“ nature recordings. I use MixPre6 in this recording. There is no doubt, the new Sound devices Kashmir mic preamplifier is ultra low noise and a sweet step forward to get better field recordings. The HPF was at 40Hz and the gain was at 50dB for NT1A and 43dB for MKH20. The gain settings mainly get this arrangement because then both rigs sounds have equal level in the headphones while I was recording. In post the gain was increased almost 30dB on both stereo channels, up to -10dB. Specrogram shows „all“ frequencies was bellow 8Khz so to lower unwanted mic self-noise I pull everything above 10Khz down with EQ (-5db @ 11Khz & -30dB @ 15Khz) . This is a „quiet“ recording which mean you should listen to it at low level in quality headphones or speakers in quiet place. Here are two shorter version of this recording but now without high frequency cutoff and the gain level is normalized up to 0dB, so it should be easy to hear the mic self-noise in low quality headphones and PC amplifiers. It is also easy to notice that MKH20 is covering 360° of the surround soundscape, while NT1A is only covering 180° with less bird songs and other activity. Last summer I spend one week at Raufarhöfn, a small village in north east of Iceland, close to the arctic circle. Most of the time it was a fool‘s weather for „quality“ recording. But anyway, I recorded almost 6 to 10 hours every night close to the sore. Most of theese recordings contains rumbling wind noise, but sometimes – very few times, I got what I was looking for. Here is one of them, recorded 17th of June 2016. It is early morning. The clock is around four. Birds are busy to protect and teach their young to search for food. Shortly after the recording starts, you can hear a fisherman pass by on his car on way to the harbor. Then later, the fishing boat goes, and passes by on the way to the sea. It takes a long time for the enginenoise to disrepair. This is a peaceful recording. A typical midsummer morning soundscape at the arctic circle, where the sun never goes down. 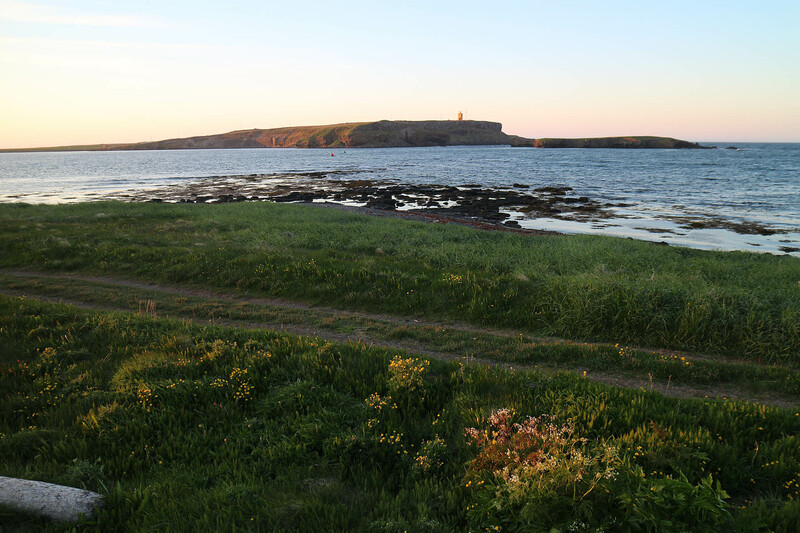 Many bird spices are in this recording, but mostly Common Eider and their youngs. Also you can hear Oystercatcher , Golden Plover, Purple Sandpiper, Red Necked Phalarope, Whimbrel, Common Snipe, Redwing, Snow Bunting, Svan, Great Northern Diver, Northern Fulmar, Kittiwake, Raven and probably may other. Quality open headphones are recommended while listening at low to mid level.